March | 2016 | Mike Lamberti, From Margate To Cleveland, And Back ! Newark Academy coach Sergio Rodriguez put it best when he was informed of an interesting statistic about the Mount St. Dominic softball team, from 2014 through the end of last season. Newark Academy coach Sergio Rodriguez. The Lions enter Friday’s regular season opener with Livingston on a 32-game winning streak against Essex County opponents. “This stat makes me feel like a women’s team in NCAA hoops having to deal with UConn,” Rodriguez tweeted. Truer words may not have been spoken. The Lions have not only won 32 straight, since a 7-2 defeat to Livingston on April 7, 2014, but many of those wins were by double digits. Prior to the MSDA run, Livingston put up some gaudy numbers against Essex competition from 2012-2014. At one point, the Lancers were 48-1 against Essex teams, including back-to-back state sectional, Essex County and SEC titles, as well as seven straight wins against Mount St. Dominic, before the Lions began to turn the tables with a 7-3 win in May, 2014. MSDA then won three straight against the Lancers in 2015. As the first set of FMTC Essex (pre-season) rankings are up today, there’s no question that The Mount is No. 1. Many will say they could be the state’s No. 1 team, as well, and why not? They have a marvelous pitcher in Kelsey Oh and an outstanding nucleus of players coming back, hungrier than ever. And there’s no question that the Mount will be more than primed. Last year, they held the state’s number one ranking for most of the season. It finished a tremendous 29-2, to go along with a second straight Essex County and Super Essex Conference title, under coach Lorenzo Sozio, who loves to schedule the toughest competition possible, both in and out of New Jersey. While MSDA is the team to beat, there will be plenty of popcorn to pass around in Essex County. 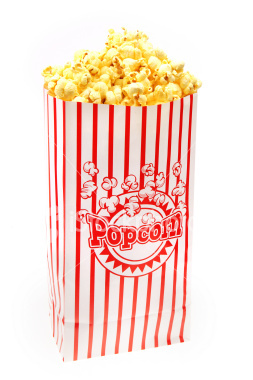 West Essex hopes to be passing the popcorn around, a lot, in 2016. West Essex has a junior-laden team, and most of those kids have played two years of varsity heading into this season. 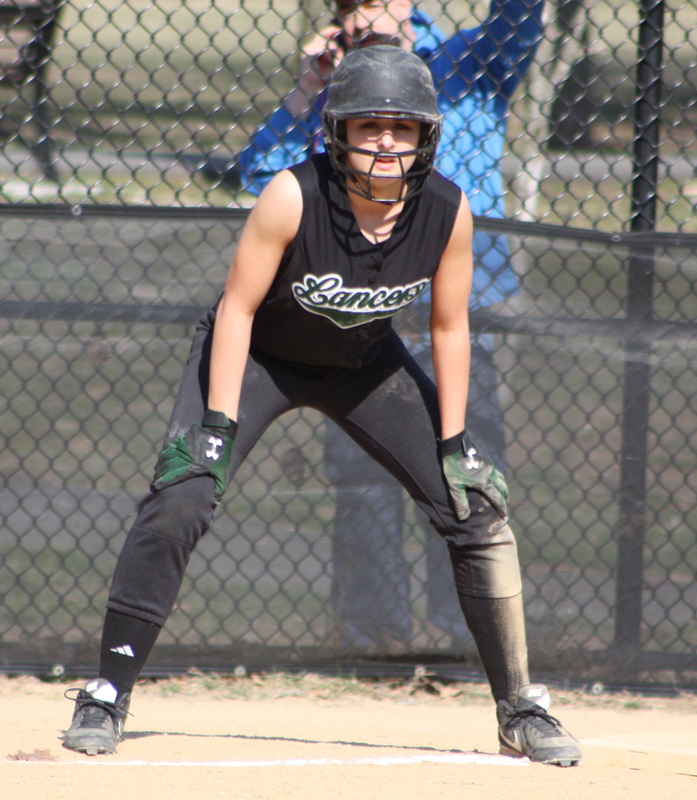 Sami Huetter (Canonero II) is the team’s top pitcher and some quality players in the field, and at the plate, will provide plenty of excitement for the Knights. A state sectional title and the opportunity to return to the county final, will be high among coach Andrea Mondadori’s club priorities in 2016. West Essex Coach Andrea Mondadori will have a more than trusted advisor this year as her dad, Steve, joins the coaching staff. Cedar Grove will hit the ball, and they’ve got the pitching, to make a run at a second straight state championship in Group 1. The Panthers have a new coach in Nicole Velardi, and she’s excited about Cedar Grove’s prospects for another good season. Cedar Grove hopes its players will have another state championship trophy to hold in 2016. While there have been coaching changes over the years at CG, the winning tradition has never waned, going back to the days of Ray Van Der May and, later, Rob Stern. 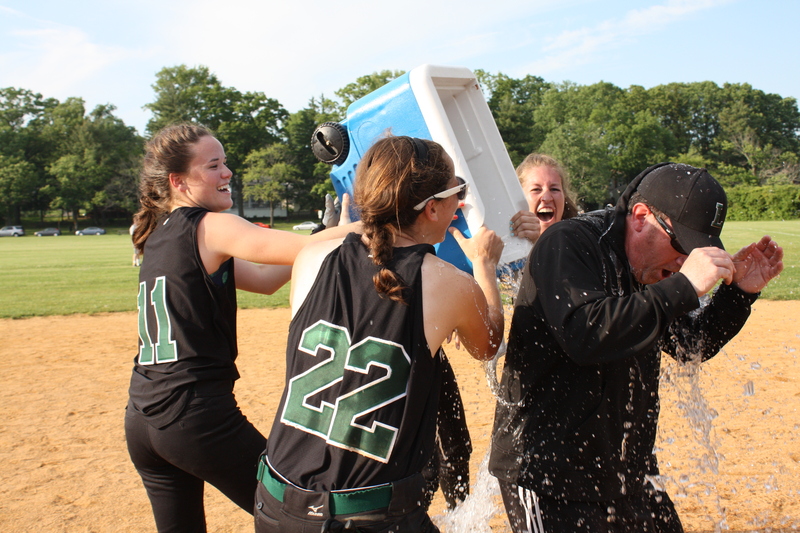 Last year, the program won its first Group 1 title in 36 years, with Velardi as an assistant coach to AJ Agnor. 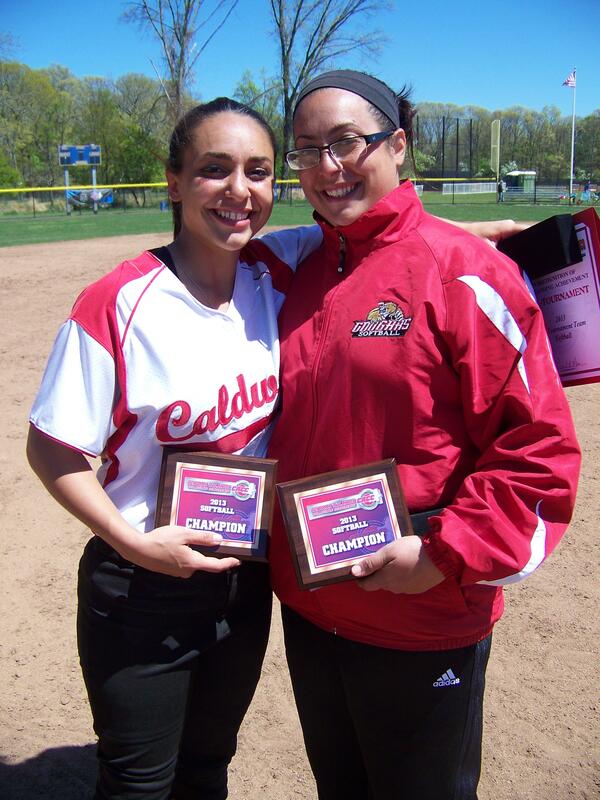 Nicole Velardi (left), here with her sister, Jackie, during her playing days at Caldwell College (now University) is the new head coach at Cedar Grove. She’s the youngest coach in the SEC American Division. Nutley and Livingston should once again field solid teams, as well. The Raiders, who won a state sectional championship, and were county semifinalists last year, are vying for even more in 2016, under the direction of coach Luann Zullo. Luann Zullo is already in the NJSIAA Hall of Fame. 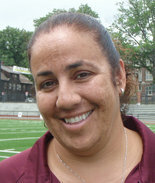 She’s had tremendous success at Nutley, since taking over in 1999, and before that, at West Essex. Zullo is the only head coach in Essex County history to win county titles at two different schools. Over in Livingston, Jason Daily’s Lancers are young, but they’ll pitch well, with Sydney McCormack (Syd The Kid) in the circle, and an aggressive team playing defense behind her. Question is, will the Lancers hit enough to continue their incredible run of success? Daily is a master of small ball, and if the Big Green Machine can get some power in the lineup, they’re definitely a contender. Livingston coach Jason Daily hopes to get doused with some victory water in 2016. Watch out for Montclair. The Mounties had a good pre-season, under coach Phil Delgado, and if ‘Living the Dream’ counts for anything, the Mounties will be an aggressive and much-improved team. And they’ll be playing each team in the SEC American, twice, meaning they could primed for a nice post-season, too. Delgado’s club had tee-shirts made up, with ‘Exit 140’ printed on the back, symbolic of playing at Kean University, for a state championship. Montclair is thinking big in 2016. Speaking of Rodriguez and his Newark Academy team, they could also be in store for a big season. They’ll be among the teams favored to win the SEC Liberty Division title and will be a tough out in Non-Public B. Rodriguez, Delgado and many other Essex County coaching brethren are still coming to terms with the sudden passing of dear friend Anthony LaRezza, the Immaculate Heart Academy coach. 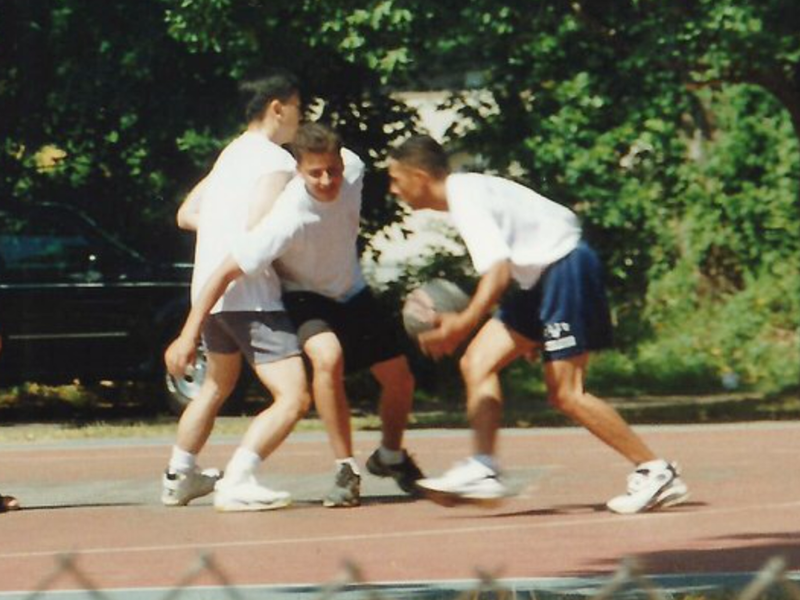 Back in another time, Rodriguez (right, with ball) and LaRezza (working through a pick) would compete at just about anything, including basketball. Delgado has often said he pays respect to LaRezza simply by coaching the game of softball, and seeing it played correctly. Rodriguez was a very close friend to LaRezza, and you have to think he, and his players will have the IHA coach in their hearts during the season, as will so many other teams and players throughout the state. Newark Academy has a very talented team, led by Sophie Rosenberg (Arts And Letters). And I’ve always said they play in the nicest ball park, at their home campus in Livingston. That place could be hopping this season as the Minutemen have some big goals in mind. Among some of the coaching milestones in Essex County are, possibly, two men earning their 500th win this season. Sozio and Bloomfield’s Bob Mayer aren’t too far away. Only Belleville’s Carl Corino and Caldwell’s Mike Teshkoyan have attained 500 among Essex County coaches, with Teshkoyan still with the Chiefs and passing the 600 win mark in 2014. Corino was the first to hit 500, and retired after the 2005 season with 507 victories. First Stud List for 2016 in Essex: These are the names carried over from last year. The list is small now, with graduation taking its toll in 2015. Obviously, the list will grow as the season begins. Pretty sure there will be new names within the first week of the season. 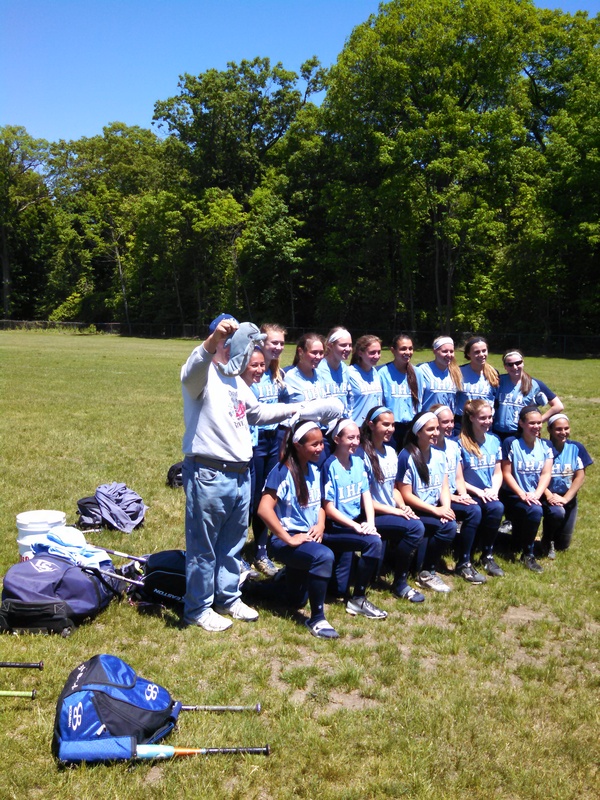 It was early in the 2015 softball season, at the 10th annual IHA Softball Tournament, and Anthony LaRezza was telling me about a health scare he endured, which had occupied most of that previous winter. The experience had deeply affected him, but he seemed content, now that his health was back in good shape. Anthony had the usual dry sense of humor going, and he took time to make fun of me, which he always did, when I walked in to one of his games, wearing a particular team jacket, or some kind of shirt. (What I wouldn’t do to hear him make fun of me, today). 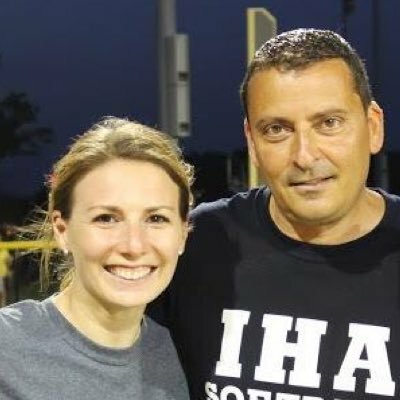 Diana Fasano is now the head softball coach at IHA, replacing a man she greatly admired. She credits LaRezza’s confidence in her as a main source for the comfort she feels in her new duties. But, anyway, I had asked him how he was feeling, because he was nice enough to share some of his health concerns with me. He said he was good, and that he had even been asked to throw out the first pitch at a Coaches vs. Cancer softball event, which he was really happy about doing. I asked him if he’d be interested in telling his story, as a way of inspiring others, in the form of an article. And, obviously, it was his health, confidential for sure, and I said no problem. He would continue to share things with me, and it always stayed between us. Anthony, of course, went on to a great season in 2015, as IHA won the state championship in thrilling fashion, and most have seen that indelible image of Anthony jumping with joy as Reagan Jones scored the winning run, on June 6, 2015. When Anthony became ill late in 2015, he shared, regularly, via Twitter to his many followers, his battle, and how confident he was about a complete recovery. He couldn’t wait for the start of the 2016 softball season. Shortly before Thanksgiving, I wrote a blog about some of his favorite things, and how he’d be his usual wacky self for the start of this season. In January, he had called me out of the blue, and said, “can you hear me okay?” And I said, sure, why? And he said he had gone through a major oral procedure a week earlier, and wasn’t sure how he sounded. 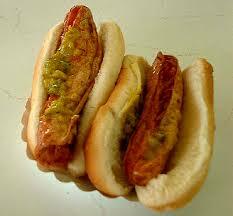 He said of course he knew that, and that we’d get to Rutt’s Hut, soon, to catch up. Well, we all know what happened on Feb. 4, 2016. And now, as a new season is underway, with scrimmages, the IHA players and coaches are carrying LaRezza’s love of the game quite well on the field. The team will open the regular season on April 1, at Paramus Catholic, with Diana Fasano, a former Eagle, as the team’s head coach, after a great run as LaRezza’s assistant. One of Anthony’s favorite events was organizing the IHA Tournament. He would sometimes call during the winter to tell me which teams were coming and some of the matchups. He loved putting the schedules together, handing out game balls at the end of each game, aggravating Ed Bates, visiting the snack stand, making sure everyone knew what great fare was available at the stand, and working the crowd with a handshake and the usual joke, like the Mayor of IHA, with that laughter permeating the ball park. The 11th annual tournament will have a slightly different look, beginning with the name. 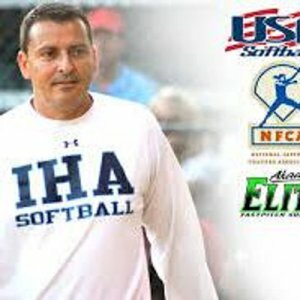 It’s now dubbed IHA Softball’s Anthony LaRezza Invitational. What else could it possibly be called? The usual top teams in New Jersey will be participating, like the host school, as well as Notre Dame of Lawrenceville, Saddle Brook, West Essex, St. John Vianney, Butler and Newark Academy. Out-of-state powers, including Caravel of Delaware, St. Joseph’s of Connecticut and Moore Catholic of Staten Island, will also be there. The tourney will be held on Saturday, April 9, and Sunday April 10. The IHA community would like to let friends and fans of Anthony to know that in the beloved coach’s name, they can use your backing in helping the team support the Tackle Kids Cancer campaign. It’s a chance to raise awareness and support the fight against pediatric cancer, the number one cause of death, by disease, among children in the United States. Together with the NFL’s New York Giants, IHA will support the Children’s Cancer Institute, at Hackensack University Medial Center, to help raise funds for research and programs through the Tackle Kids Cancer campaign. There is much more information about donating by clicking on this link, for details, and the IHA softball program would be greatly appreciative for your support. The goal is $2,000.00, and in the early stages, approximately $150.00 has already been raised. (Ironically, Anthony’s last tweet, on Jan, 26, 2016, was about how his team would participate in a Coaches vs. Cancer event on April 30, and that IHA softball would donate a dollar for every re-tweet of the post to pediatric cancer research). The games will go on, the kids will play, the coaches will coach, fans will cheer, and someone else will hand out the MVP game balls after each contest. But Anthony will be there, for sure, and he’ll want to see everyone having a great time. And that mischievous smile will be wide, knowing that in his name, a chance to help ill children get better is a pretty good thing. Diana Fasano hasn’t had a lot of time to decipher all that has happened over the last seven weeks. Instead, she’s doing what is natural, and that’s coaching softball at her alma mater, Immaculate Heart Academy. It was Fasano who had the task of telling the players on Feb. 4, 2016, that beloved head coach Anthony LaRezza had passed away. As she said subtly, there were no adequate words. With the start of the 2016 season just a month, to the day, of losing its coach, Immaculate Heart made the right decision, quickly, in naming Fasano its new head coach. “Anthony always said to me, ‘get comfortable with being uncomfortable’.” said Fasano on March 19, after her team had scrimmaged at Arthur L. Johnson High, in Clark. “We had talked at his 50th birthday party (in January) that maybe I’d take on more of a role, with him continuing to recover, especially early in the season. I always said my role, as a coach, would always be here, as Anthony’s assistant. Fasano’s roots at IHA are deep. She was graduated from the Bergen County school in 2000, and was a standout softball player. At the time, LaRezza was an assistant to head coach Jeff Horohonich. 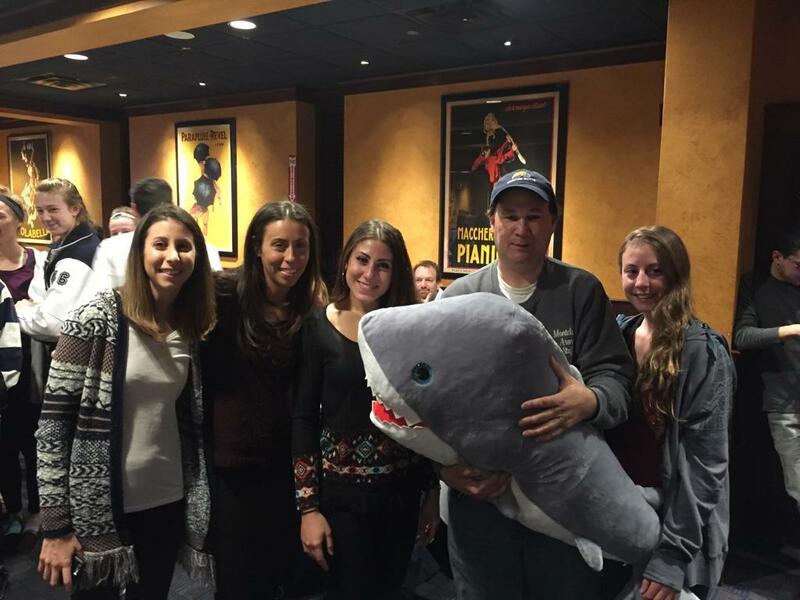 IHA players got together to celebrate Ed Bates’ birthday on March 18. Fasano would return to her alma mater in 2009, as LaRezza’s assistant, and helped the Eagles win the Non-Public A championship in dramatic fashion to conclude an unbeaten season. 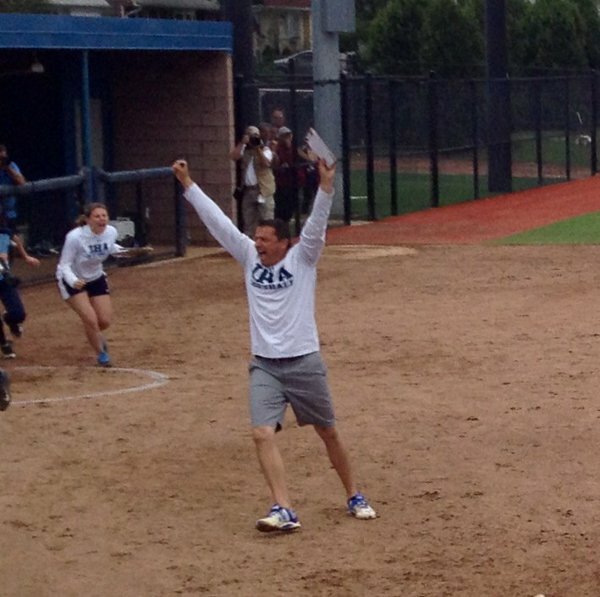 IHA would win another state championship in 2012, then added one for the ages in 2015, with a team comprised totally of underclassmen and the image of LaRezza celebrating the game-winning run in the state final indelible in the hearts and minds of IHA players, coaches and fans. When Reagan Jones scored the winning run in the Non-Public A championship game on June 6, 2015, at Kean University, LaRezza’s exuberance was obvious in this classic photo, taken by Sean Reilly. Now, Fasano takes over a team that could have been fragile, but instead is embracing the challenge. “With this team, there are mini coaches on the field,” the coach said. “In a way, it’s kind of a balancing act. We have 19 kids. But like I told them, it comes down to the fact that the 10 best players will play. There’s an inner-competition to get playing time. “We’re playing softball. It’s supposed to be fun. That’s all it ever was with Anthony, and that’s the way we’re preparing for the season. Are we playing now, for a little more than what we expected? Yes, for sure. But being on that field is a release for all of us. It’s an outlet for me. Following a scrimmage on March 18, at home, the players, parents, coaches and fans ventured to a local eatery to celebrate a birthday for one of its favorite fans, Ed Bates. And at the party were LaRezza’s three older brothers, Joe, Allen and Billy. 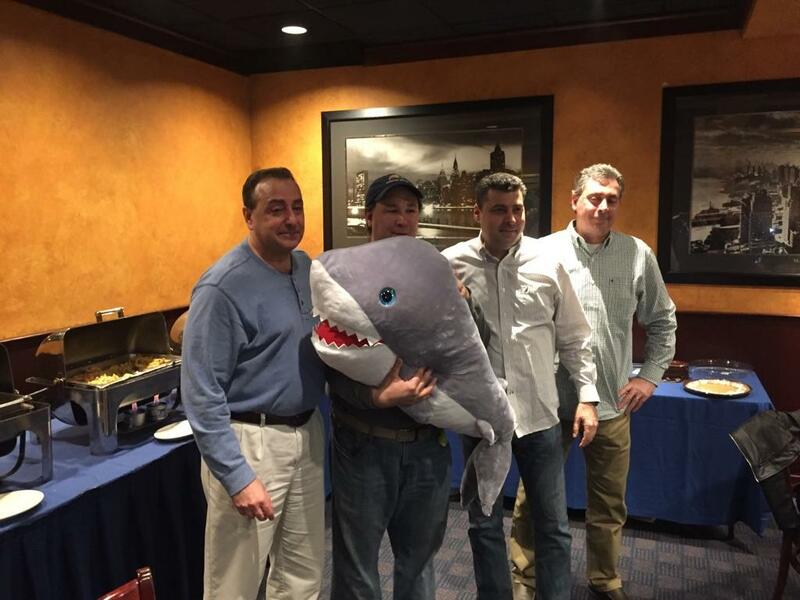 Ed Bates (second from left) is joined by Anthony LaRezza’s brothers, (left to right), Joe, Allen and Billy at a team gathering on March 18. “It was an incredible night,” said Bob Jones, whose daughter, Reagan, now a junior, scored the game-winning run in the state championship game last year, as IHA edged Notre Dame of Lawrenceville, 1-0. A fun time was had by all at an IHA party, with Ed Bates enjoying his birthday. “There wasn’t a dry eye in the place,” said Jones. The parental support during this time has impressed Fasano. 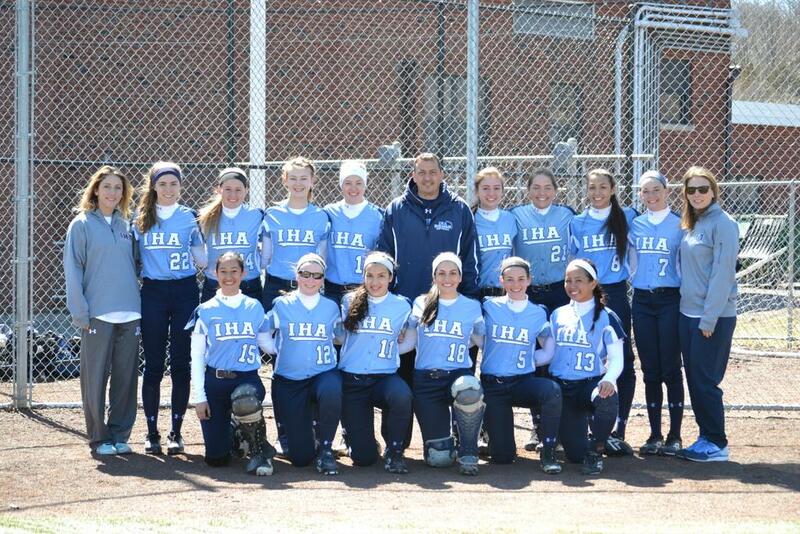 Sentimentality aside, Fasano knows the reputation that is IHA softball. “With Anthony, he’d always down play a season, but we’re aware of what is expected here,” said Fasano. “It’s about a tradition of winning. We appreciate that. I know Anthony had said last year that the team might struggle, but I had said then that I thought last year’s team could be special. And I think we have the capability of being good again this year. And the impact of Coach LaRezza will clearly define Fasano, in her first venture as a head coach. “Are you kidding?” she said with a laugh. “He’s with me, every step of the way. The names have changed, but the tradition continues. Gone are the studs of recent lore, such as Secretariat (Jess Peslak), Seattle Slew (Kylie McLaughlin), Riva Ridge (Sammi Rothenberger) and Silver Charm (Marina Lombardi), not to mention our FMTC Player of the Year in 2013, Rachel Wasilak, who is doing a great job on the collegiate level now, at William Paterson University. Marina Lombardi’s defense and overall game was a constant for Livingston from 2012-2015. The great Seattle Slew, Kylie McLaughlin, was a 3-time, first-team, All-State player at Livingston. 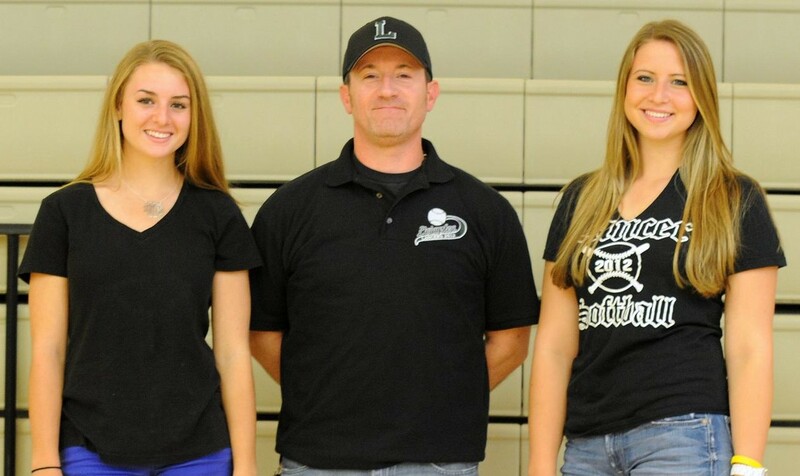 Head coach Jason Daily, here with Kylie McLaughlin and Livingston’s dominant pitcher, Jess Peslak, has a new-look team in 2016, which hopes to continue the program’s excellence. But a few constants remain, beginning with Livingston’s head softball coach, Jason Daily, and continuing with a program which stresses good defense, consistent pitching and timely hitting. Four games into the pre-season, Daily has gotten a decent look at what his team is capable of. And while Daily, always a tough grader, isn’t really satisfied, what coach is pleased, in mid March? 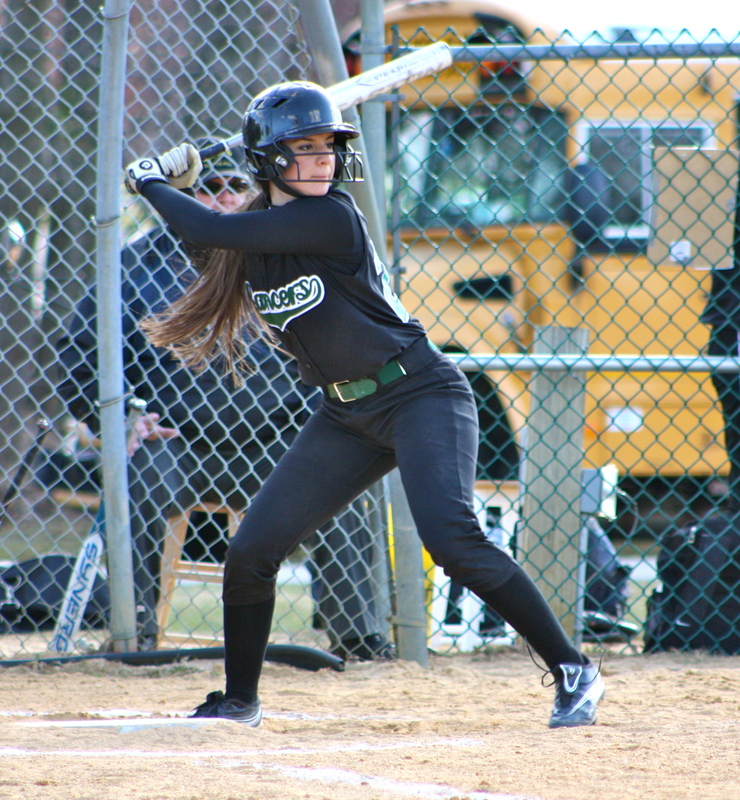 Livingston faced North Hunterdon on March 16 and won. It opened its pre-season on March 12, with a quad scrimmage at Paramus, which included Mahwah and Lenape Valley. 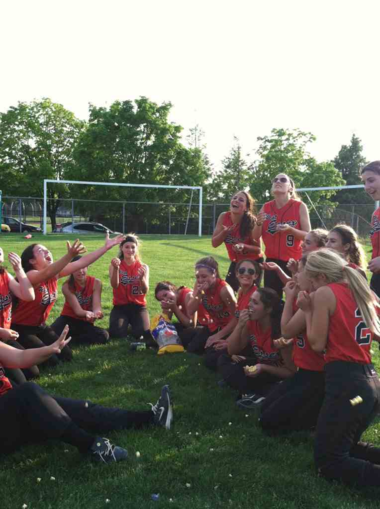 On March 17, it played Hanover Park and dropped a close game in the final inning. “I don’t worry too much about scores and that kind of stuff, in scrimmages,” said Daily, who had his team working cutoffs and throws from the outfield, to the plate, minutes after the Hanover Park game was over. Livingston’s record speaks for itself. From 2012-2015, the Lancers were 29-1, 25-4, 21-6 and 18-11. The team won a pair of Essex County and state sectional titles during that stretch, as well as a two Super Essex Conference titles, during which time Livingston lost one conference game. It has been in the Essex County semifinals, or better, six times in the last seven years. Daily’s record at Livingston, since taking the helm in 2001, is 289-106. But with all those wins, he’s still more consumed with the losses. The Lancers’ pitching should be paced this season by senior righty Sydney McCormack, or Syd The Kid in the horse racing analogy. Also expected to pitch this season are sophomore Jess Gorman and junior Kaitlyn Kelly, who can also play in the infield and outfield. Sophomore Emma Cooney should be the starting catcher, replacing Lombardi, who was phenomenal during her four years at LHS. A veteran, senior, infield features Allie Royce at first, Allie Beinhacker at second, shortstop Blake Saperstein and third baseman Nina Petrillo. In the outfield, Jaclyn Williamson, a junior should play left, Ashley Reuter, a sophomore, is the centerfielder and Julia Viggiano, a senior, could start in right. Jill Gibbon, a sophomore is also expected to see time in the outfield. Danielle Rosenblum, a sophomore and Kate Sheehan, a junior, are candidates to be the team’s designated player. The weather has been good, for the most part, which means the team has been outside steadily since March 4. The usual week at the indoor facility at Diamond Nation this year was canceled because of facility upgrades. The Lancers open its season on April 1, against two-time defending county and conference champion, Mount St. Dominic. “Why not?” said Daily with a laugh. “We play them twice a year. Let’s jump in and see where we’re at. The Mount is obviously a tremendous program, and if we want to get better, those are the kind of teams we’ll need to play. But Daily has never backed away from a challenge, and his team is sure to follow that lead. Phil Delgado has become one of those guys you can’t miss at the ball park. 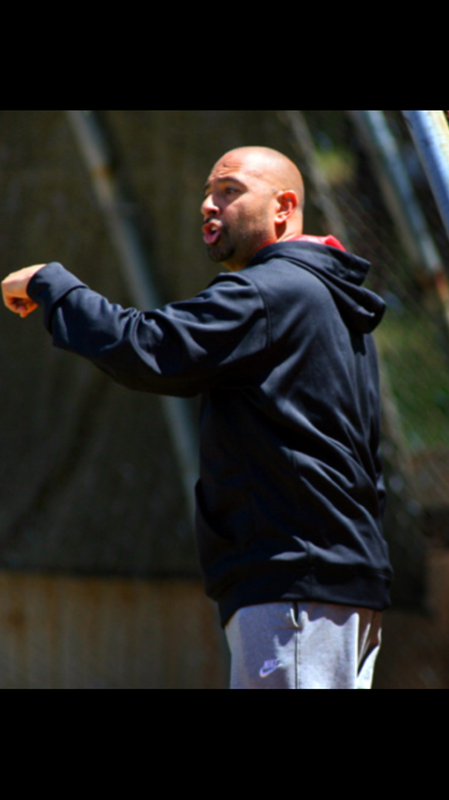 If he had his way, Montclair’s energetic second-year head softball coach would coach his players for 365 days a year, or 366, in a year like this. But, instead, he gets that privilege starting in early March. And if you read the tee-shirts the coach had printed for the 2016 Mounties, the end of this season will hopefully come during the first weekend of June, specifically at Kean University, where the six NJSIAA championships will be contested. 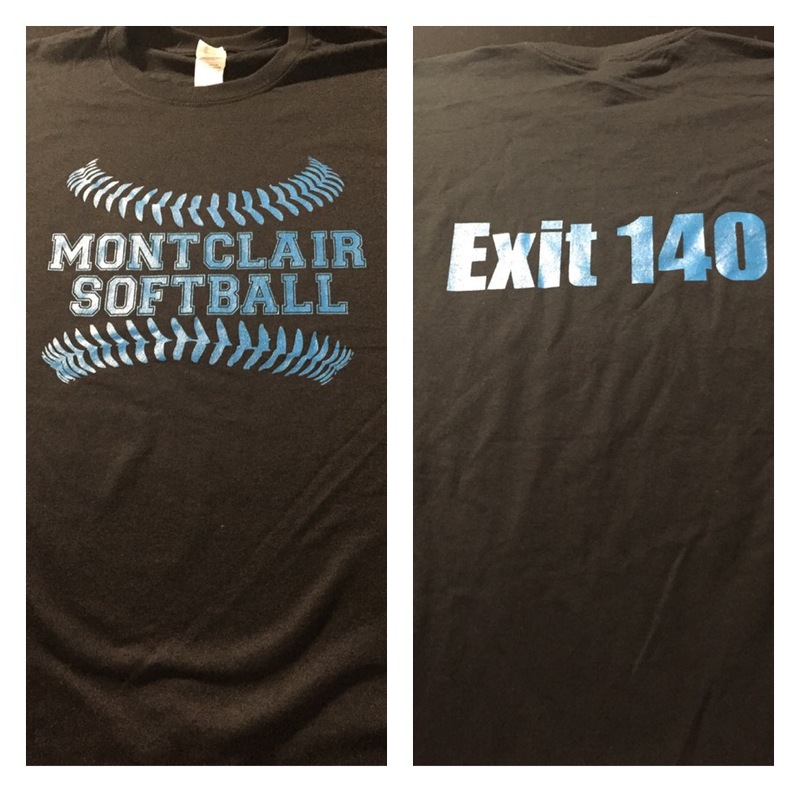 The shirt reads simply ‘Montclair Softball’ on the front and on the back, ‘Exit 140’, which is the Garden State Parkway’s egress for Kean U.
Montclair’s tee-shirts aren’t cluttered with words, but the point is clear. Whether Montclair gets to the Group 4 championship game is a discussion for another day, but it speaks of Delgado’s never-ending belief in his group of players. Montclair was 5-15 last year, but the team showed signs of being a major player, including a 5-0 victory over Cedar Grove, the eventual Group 1 state champion, late in the 2015 season. Delgado, who will tell you that he’s ‘living the dream’ whenever you ask, has had a full off-season to work with his team, and it’s apparent this year’s club has a lot more confidence. Montclair opened its pre season with a good effort against Bayonne, at home, on March 16. It will face a much tougher test on March 18, when it travels to Washington Township to face Immaculate Heart Academy. Delgado’s heart will be a little heavier when he arrives at IHA, because the memories of IHA’s legendary coach, the late Anthony LaRezza, will be everywhere. Delgado and LaRezza were very close friends. Delgado has a lot of LaRezza’s coaching characteristics. He’ll carry on a conversation with just about anyone, during the game. He’s always shouting out a series of three numbers, or a color, for a certain pitch, or a fielding assignment, similar to LaRezza’s strategy. And, like LaRezza, he’ll be excited one minute, then yelling the next if a mental mistake occurred. As he was coaching his team against Bayonne, he’d shout out to me, at the opposite end of the field, that I was sitting next to a legend in Amanda Paxson, a star at Mount St. Dominic Academy, and later Manhattan College, who is now teaching in the Bayonne school system, and came to watch Bayonne’s young players. The key to winning, at any level, in softball, is good pitching, and Delgado is confident in his junior righty, Jessica Masur. Erica Robles, a stud in the outfield, or infield, and probably the team’s closer, in the circle, is one of just two seniors on the Mounties’ roster. The other senior is third baseman, Izzy Guaval. 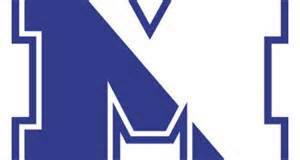 Montclair has a heavily laden junior presence, with shortstop Lily Silverstein expected to be a huge asset to the team, on defense, as well as at the plate. The other juniors are first basemen Paige Davenport and Sammy Rego, outfielders Lia Pagnotta and Seniah Thompson and infielders Jane Corino and Sarah Amoye. A good sophomore class features second baesman Grace Chelius, outfielders Sofie Fachin and Ciarah Minning and catcher Rael Crews. Freshman infielders Francessca Testa and Amber Matthews could also see varsity time, as Delgado likes getting a lot of players into games. Delgado also has a young coaching staff, made up of former standout high school players. Christina Galese starred at West Essex and later played at Trinity College. Sara Haefeli is a former Mountie who had a marvelous softball career at Seton Hall University while Cassidy Trause played at Cedar Grove High and later for LaRezza at IHA before a year at Temple University. “It’s all good, brother,” Delgado said after the first scrimmage. “On to IHA, next. Tell Diana we’re on our way. I can’t wait. NJ High School Softball: Some teams head to Florida, great weather back home makes for good scrimmages; IHA’s energy speaks volumes; Coach Delgado living the dream, once again; Mondo’s Knights thinking big; New stud names coming soon; Livingston opens scrimmages today, so get that popcorn ready ! There’s something about that sound, when a ball connects with that bat, usually with the aluminum ping, but the occasional wood sound, that says it’s time to be outside a lot more. And before you know it, the sounds of the ocean hitting the surf will indicate that my friend Anthony LaRezza’s favorite holiday, Memorial Day, is around the corner. So, with that piece of nostalgia, it’s been great to get out and see some New Jersey high school softball teams in the early going. The weather has been more than cooperative, for the most part. A few high school teams, like Nutley, Newark Academy, Bloomfield and Belleville have ventured south, to Florida, for scrimmages and practices, so here’s hoping that the weather is sunny and hot, every day, and the teams have a great time at the Magic Kingdom. I spoke to Newark Academy coach Sergio Rodriguez the other night, at a local pizza establishment, and he’s really excited about his team’s chances in 2016. He’s got one of the FMTC studs, Sophie Rosenberg, AKA, Arts and Letters, so that’s a good place to start. Back here in somewhat balmy NJ, the scrimmage season is well underway. Last Friday, I went to Westwood to see IHA play its first scrimmage, against Ridgefield. (That, of course, after a trip to Rutt’s Hut to kick off the season). Rutt’s Hut is always a nice place to visit, before a softball game. The score didn’t matter, as much as seeing the banter of the players, even during warmups. If you know the setting at IHA’s field, when you park your vehicle, you’re literally above the field, so as you walk toward the complex, there’s a downward trek to the field level. You could literally hear the players yelling and having fun from the parking lot, during pre-game routines. 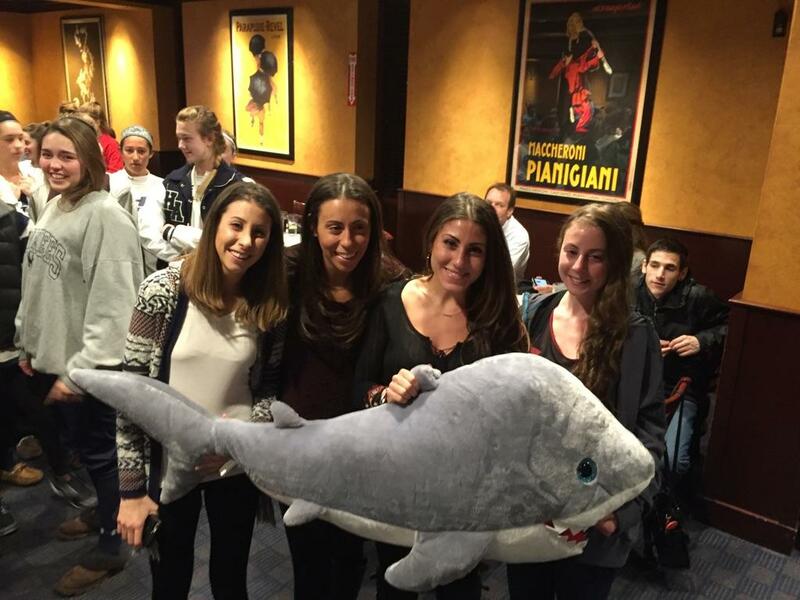 It was certainly a release, not only for the kids, but for the fans and parents of the IHA players. Needless to say, it’s been a long winter. I watched most of that scrimmage from the second ‘deck’ as I like to call it at IHA, because it felt weird to walk down to the field level. I guess that’ll change, with time. But it was fun catching up with former IHA stud Alyssa Sceppaguercio, who now works at Duke University, in its athletic department. Alyssa is great. She still has that competitive fire, and loves her high school alma mater. We talked about a lot of games she played in at IHA from 2006-2008. ‘Scep’ was home for spring break, and didn’t want to miss that first scrimmage. The conversation ran the gamut, from yelling at a college teammate, to Cousin Anthony, to how this year’s IHA team should fare. 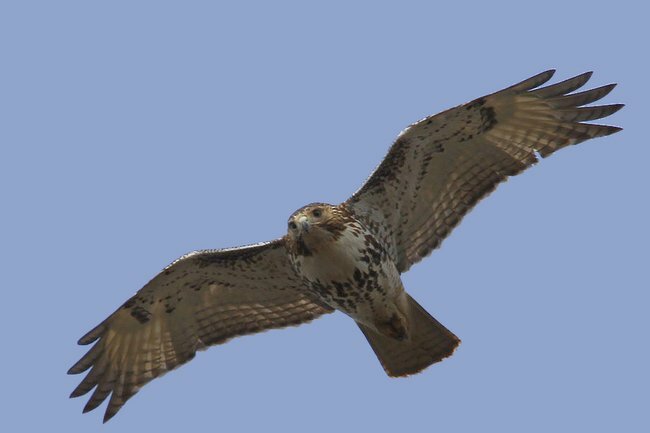 In the sixth inning, we both saw a certain bird fly overhead during the scrimmage and kind of thought the same thing. “That’s him,” we both said, and laughed, because that’s the way Cousin Anthony would want it. Anyway, I also spoke with some of the parents of the current IHA players, who have some fun things planned for this year. It’s great to see the energy, but it’s not hard to detect the level of parental support for their daughters, because, well, kids are kids. They’re extremely resilient, but that comes with family love and support, and seeing the crowd on hand for what would normally be a meaningless scrimmage, spoke for itself. On to Montclair, where second-year head coach Phil Delgado can’t wait to start scrimmaging. His Mounties were slated to face Bayonne on March 16, and two days later, Phil will take his team to IHA, for what should be a few hours of fun and a lot of comedy. Watching Delgado coach is worth the price of admission. And he’s pretty excited about the upcoming season. It’ll be fun to catch up soon. Head coach Andrea Mondadori (second from left) chats with a few players during practice last week. Mondo and her dad will be on the same staff this year. As most who read this blog know, I like to tag some of the stud softball players with horse names. With a lot of the studs from last year graduated, we’ll have some new ones coming soon. Here’s the short list, for now. It’ll expand, as opening day nears. Looking forward to seeing Livingston play its first scrimmage later this week. The Lancers will host Hanover Park, which has a new coach, but a familiar name in former West Orange head coach, Jamie Galioto. The Lancers will be tough, as usual, with Syd The Kid in the circle and a well coached squad behind her. Head coach Jason Daily begins his 16th season at Livingston. Time does fly by. So, yes, it’s time to get your popcorn ready. The 2016 season is underway, with regular season games in a little over two weeks. Roselle Park’s Chris Gural had to endure his share of disappointments during the 2015-2016 post-season, in wrestling. Gural, a senior, finished third at Region 3 in the 106-pound weight class, which meant he was heading to Atlantic City for the NJSIAA championships, but would need to get out of the gate quickly, if he was to have any kind of supposed success. 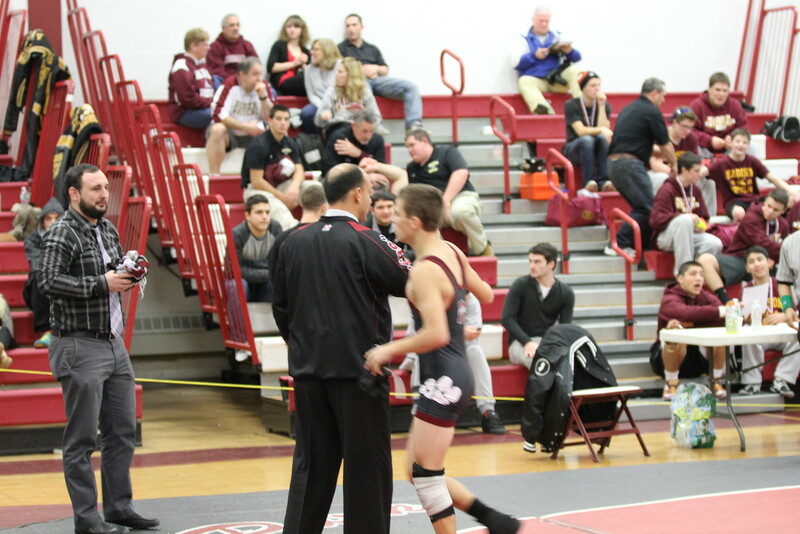 Roselle Park head coach John Ranieri congratulates Chris Gural on a victory. Gural would trudge back to his hotel room, knowing that he’d have to accomplish a monumental feat the following day if his high school career would continue, with the ultimate goal of standing on the medal podium on March 6, as one of the top eight wrestlers in the state, in his weight class. The loss to Mininno would move Gural to the hated wrestleback round, and he’d need to keep winning for the next three matches on Saturday, if he were to earn a medal in his last high school tourney. And that’s pretty true. The path to a state title requires a wrestler win four matches, generally once on Friday, twice on Saturday and then one more that Sunday, whereas finishing third, especially the route Gural was about to take, could require winning seven times over a 24-hour period. 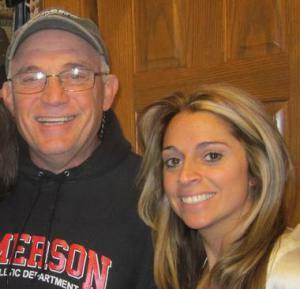 Gural’s head coach at Roselle Park, John Ranieri, knew that at this stage of a wrestling season, the mental factor far exceeded the physical advantage for an athlete. Gural met the challenge, winning his third place bout, which qualified him for Atlantic City. And that brings us to March 4, and the loss in the prelims at Boardwalk Hall. Ranieri had found some solace from Gural’s performance against Mininno. And that set the stage for Gural’s marvelous performance on March 5. Remember that those first three wins were must-victories. A loss ended the season for either Gural, or the man he was wrestling. But now, having been assured a medal, he could continue wrestling, with really no more pressure. You’d think having won three crucial bouts, Gural could bask in his accomplishments? “He was not done there,” said Ranieri, proudly. “The next match was a rematch against Mininno, the wrestler who put Chris in the wrestlebacks (on March 4). We made a few key adjustments that lead to yet another victory. (On March 5) Chris had (Michael) Kelly (of St. Peter’s Prep) the No. 16 ranked wrestler in the country, (on that Sunday morning). Gural’s winning streak would end in the third place bout, but the message had long been sent. Chris Gural was one of the top wrestlers at 106 pounds, having gone from finishing third in the region, to losing in the state prelims, to ultimately finishing fourth in the State of New Jersey, finishing his season with a 37-6 record. Gural, who had qualified for the state tourney in 2015, at 113 pounds, but did not win a match in Atlantic City, was very proud of what he accomplished. Coach Ranieri was always in Gural’s corner. 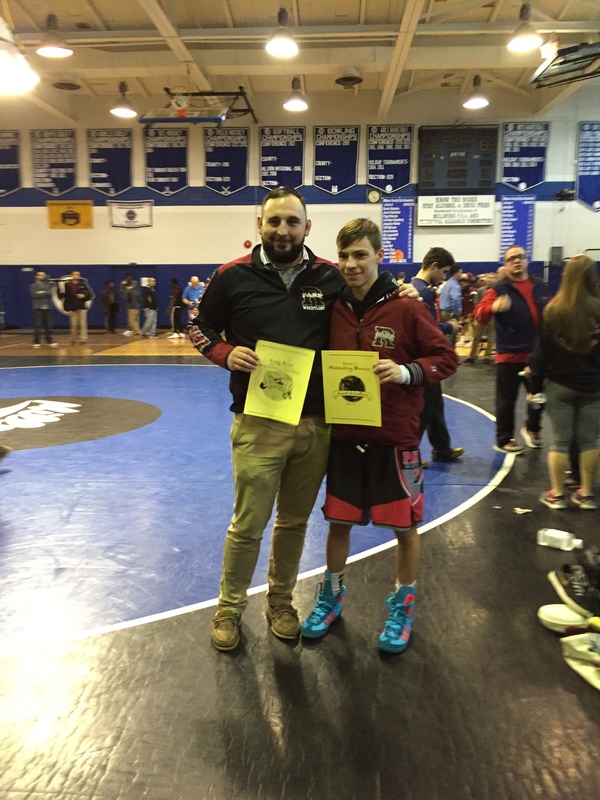 Winning that medal also said a great deal about the Roselle Park wrestling program. This season, the Panthers were 18-2, and won the District 10 championship, as well as the Panther Invitational, Paul Finn and Waldwick Tourneys. Ranieri has been the head coach at RP for 14 years, after a seven year run as an assistant to legendary coach Sam Appello. As head coach, Ranieri has put together a 242-47 record and led the program to nine district championships, seven state sectional titles and three Union County crowns. Gural’s high school wrestling career is now completed, and Ranieri couldn’t be prouder of the young man’s contributions. 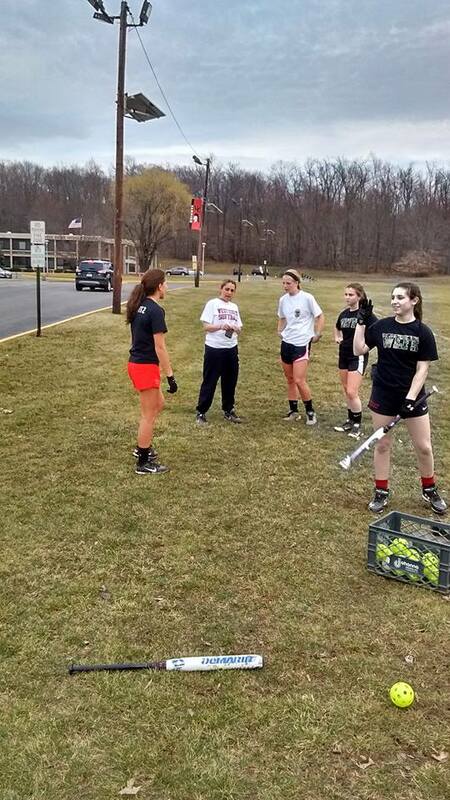 The New Jersey high school softball season began last Friday, with practice. Scrimmages are scheduled to begin soon, with the regular season just a few weeks away, commencing April 1. I’ve been stopping by a few schools to say hello to the coaches and players this week, and with the warm weather, everyone is excited about the start of the season. But, in Northern New Jersey, especially, the undercurrent is hard to avoid, as coaches and players still try to grasp that Anthony LaRezza won’t be coaching Immaculate Heart Academy this season. It was just a little over a month ago, Feb. 4, 2016, that Anthony left us. And while time is supposed to heal certain wounds, watching softball games was always a trip with Anthony’s commentary, whether it was at an IHA game, as he coached third base, and throwing the occasional scorecard in mock disgust, or any other game that he was attending, as a spectator. Because, when he wasn’t coaching, LaRezza was usually watching a game, somewhere. The wheels were always turning with him. Anthony LaRezza was one of a kind. And Anthony, sitting in the stands with that mischievous smile, turned to me and said (of the umpire) ‘no he’s not’, meaning that particular umpire had probably made a call, or two, like that before. It was typical LaRezza, who never took himself too seriously. There was a game in 2013, again between Livingston and MSDA, this time for the Essex County title, at Ivy Hill Park. The first inning was a little crazy, and Livingston coach Jason Daily must have come out of the dugout to question a few umpiring calls, something Daily usually didn’t do. 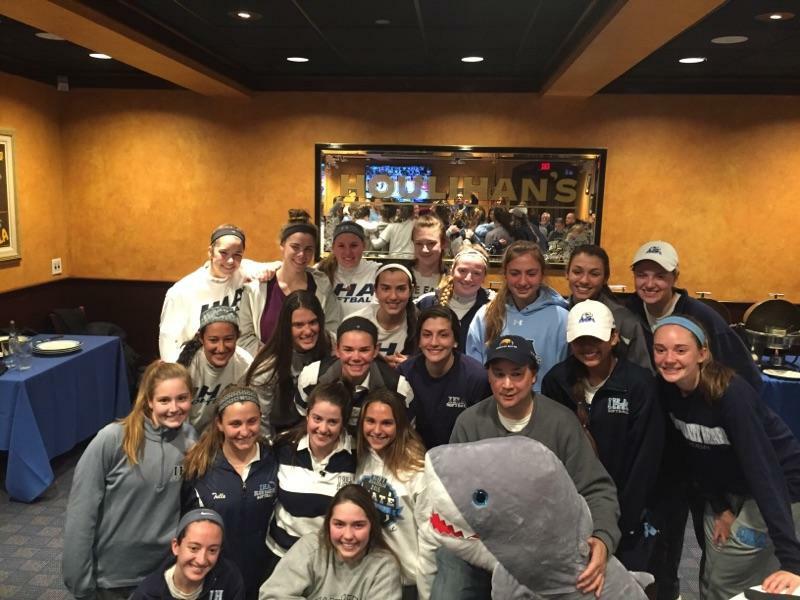 After IHA won a Bergen County semifinal, the team gathered for a photo, with Ed Bates joining the fun in May, 2015. But, back to reality. Scrimmages start on March 11, and regular season games are just three weeks after that. Life does go on. IHA should have a good team again. They have a tremendous young coach in Diana Fasano, who knows the team well, having been LaRezza’s assistant for a number of years. She’s the right choice for a difficult job, and the team will rally around her, as she will rally around them. It’ll be fun going to IHA home games, starting with its annual tournament in early April. But standing behind the fence at home plate, will evoke a thousand memories of Anthony. We all know he’s there, rooting on his favorite team. And that sense of humor will carry on in the hearts of his friends. LaRezza, with his 2015 team, wasn’t sure what to expect from that squad, when scrimmages started in March. 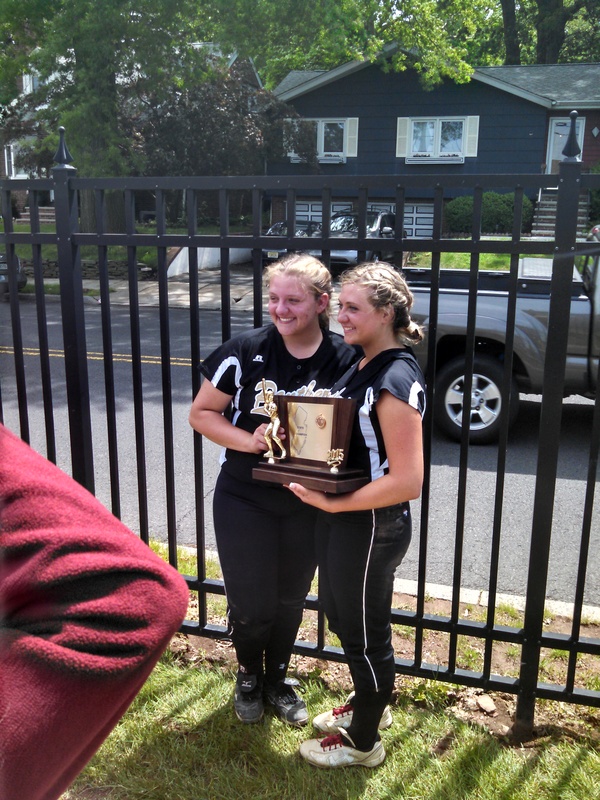 Instead, IHA won the state championship in early June. So, I figured before I’d go see Nutley’s first scrimmage (which was usually against IHA, but not this year), on March 11, I’ll stop by Glendale, in Bloomfield, to say hello, then go to Anthony’s favorite lunch spot, Rutt’s Hut, to have a few rippers, in his honor. Then, later in the day, watch some softball on what should be a pretty nice day, weather-wise, especially for early March. 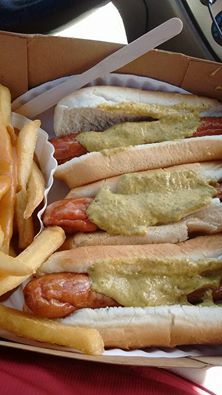 There was something about going to Rutt’s Hut for a few hot dogs that made Anthony’s day. And, the games will begin, and I can hear Anthony asking what horse name I’ll give to a new stud player. 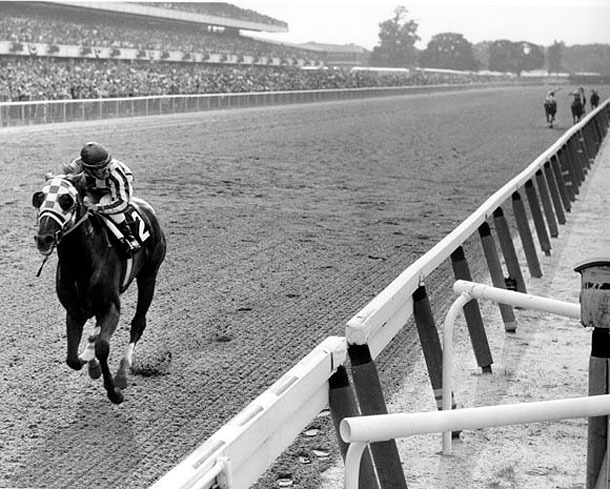 Anthony and I often kidded about the legend of Secretariat. Probably not, because there was just one Secretariat (from Livingston) but I always told Anthony that in 2015, a ‘Southpaw’ Secretariat was on his pitching staff. Could be, perhaps for a player from a private school in Essex County. And then we’d kid about his Memorial Day rant, at the 2010 IHA Tournament, or how a certain player on his 2015 squad was named after a great U.S. president. 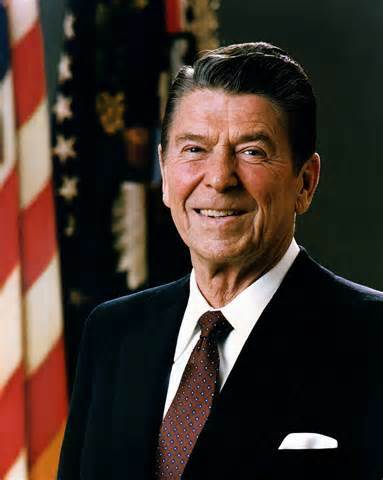 President Reagan often had a good spot on IHA’s team, and was a big part of the 2015 state final, scoring the game-winning run. And somehow, everything will be okay. And, in a way, it is, because Anthony would insist on it. 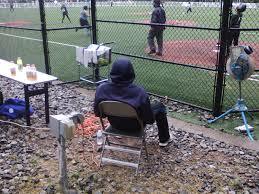 When he wasn’t coaching, Anthony would be watching a softball game, rain or shine. 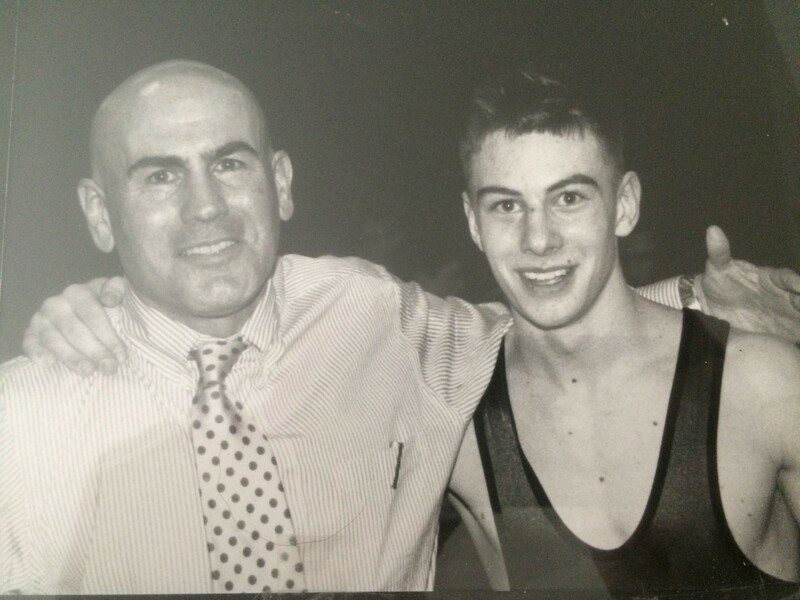 When Jay Gerish was named head wrestling coach at Newark Academy in 1997, he began building a program with young, hard-working wrestlers. Two years after taking the job, one of his first top grapplers was Jim Avola, who wrestled at Newark Academy from 1999-2003. Avola had a marvelous high school career, winning 125 matches, as well as three District 14 titles and one Region 4 crown. Avola would go on to wrestle at Davidson College and continues to make his home in North Carolina today. He is still active in coaching wrestling today. Avola wanted to remember his coach, who recently stepped down after a successful 19-year coaching career. “As I sit down to reflect and write about my time with Coach Gerish, and what he has meant to me, I realize that this is not an uncommon occurrence. 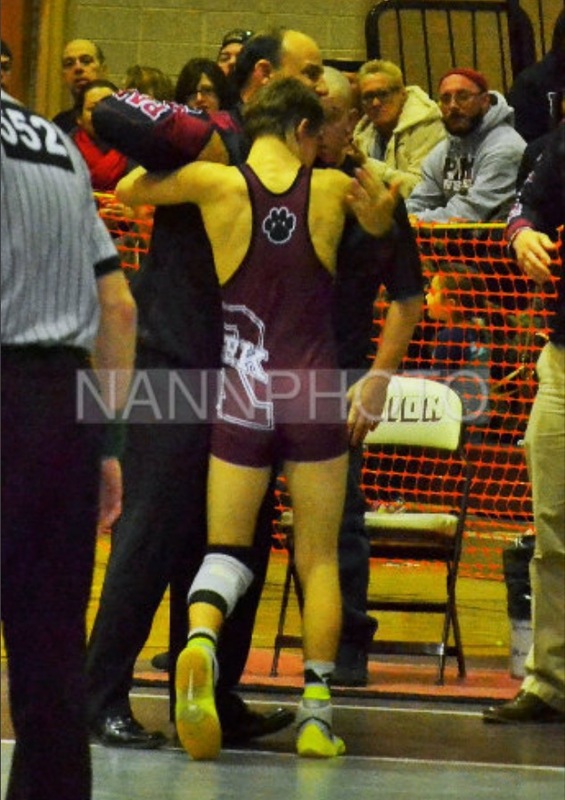 You see, while many people are blessed with great high school coaches, I, and all of the Newark Academy wrestlers, were lucky to not only have a great high school coach, but also someone who is and has been a great friend, mentor, and role model. “I first met Coach Gerish the start of my freshman year at NA, and immediately knew it would be a perfect fit for my next four years. I knew he would help me grow not only on the mat, but off the mat as well. I had had the good fortune of learning from some great names in the wrestling community prior to my time at Newark Academy, Tom and Terry Brands, Tim Jacoutot, Tom Ryan, Ricky Dellegatta, just to name a few, but the lessons I learned from Coach Gerish far surpass anything I had learned before. “The most crucial and longest lasting lesson I learned from Coach Gerish is simple, yet one of the most difficult things to learn, and as I have found out through my years as a coach, one of the most difficult things to instill in others, and that is self-confidence. The belief that you can achieve anything you set out to accomplish is quite powerful, and Coach made sure I knew that. My freshman year, all 92 pounds of me, (I) had started the season 16-0. One of our last events before Districts was a tri-meet with Gill St Bernards and Glen Ridge. Back in 2000, you could bump up two weights, so Coach had me wrestle 119 in our match against GSB. He did this not for the team, but for me. You see, in the next match, the 112 pound kid was Joe Dubuque. “After pinning the kid at 119, I came off the mat and asked to bump to 112 for our conference match against Glen Ridge. Needless to say, it ended very well for Joe, not so much for me, but the lesson was learned. Believe in yourself and go out and do it. The results may not always be what you hope for, but what you gain from it goes far beyond the W’s and L’s. (For the record, Dubuque was a two-time state champion and later a two-time NCAA champ, at the University of Indiana). “I can continue on and on about the lessons Coach has taught me, or the great memories, from the four District finals, or the three region finals, or even the trips to states, or how Coach taught me how to perfect the take down that lead me to two Southern Conference medals, or even the fun we had on our journey to the dual team state semifinals. I can talk about how, to this day, I am still frustrated over the fact that he never let me get a take down on him, but to be honest, what is more important to this day to me with Coach Gerish is the friendship I gained. “From day 1, Coach Gerish took me in as if I were a member of his family. Coach, Tobi, Joseph, Patrick, and Jake all become more than people that were in my wrestling community, but people who were a large part of my life. I could not wait to get to practice early so that I could see Joe and Pat and work with them. I could not wait until our post-match dinners where I would hear stories about work, Catawba College days, or team parties at the Gerish household. To this day, I often email or text with Coach, have had the luxury of watching Joe and Pat wrestle at high level events, and continue to look forward to our next chance to get together. Wonderful words, from a great kid who has grown into a tremendous young man. Thanks, Jim. I’m sure Coach Gerish will be overwhelmed with your comments. When Jay Gerish decided to ‘retire’ as the head wrestling coach at Newark Academy, in Livingston, after 19 seasons, he figured the reaction from those who followed the fledgling program would be respectful. He never imagined the words that would resonate from friends and former wrestlers, who found Gerish’s coaching style, charisma and integrity a platform for the direction in their own lives. Gerish, the father of three sons, Joseph, Patrick and Jacob, wants to watch his middle son, Patrick, wrestle at the University of Maryland. He also wants to spend more time with his youngest son, Jacob, who is 12. “The kids grow up so fast,” said the reflective Gerish, who coached his two older sons at N.A. “I loved coaching at Newark Academy, and I enjoyed the rapport with the other coaches in the district and region. They’ll always be a part of my life, too. The coaches at District 14, and later, Region 4, appreciated Gerish’s class and commitment to his program, as well. This past season, he was named the Coach of the Year by both entities and last weekend was honored as one of the top eight coaches in the state at the NJSIAA championships in Atlantic City. And Gerish’s last match as a coach came in the medal round, at the state tournament, as his prized 152 pound wrestler, Steve Bonsall, prevailed to earn a seventh place showing. When word came out that Gerish was going to step down, and subsequently was named a Coach of the Year by the district and region, the praises were noteworthy. And those sentiments extended to assistant coach, Gene Kelly, who also plans to move on from coaching. Gerish had some outstanding wrestlers compete for him. 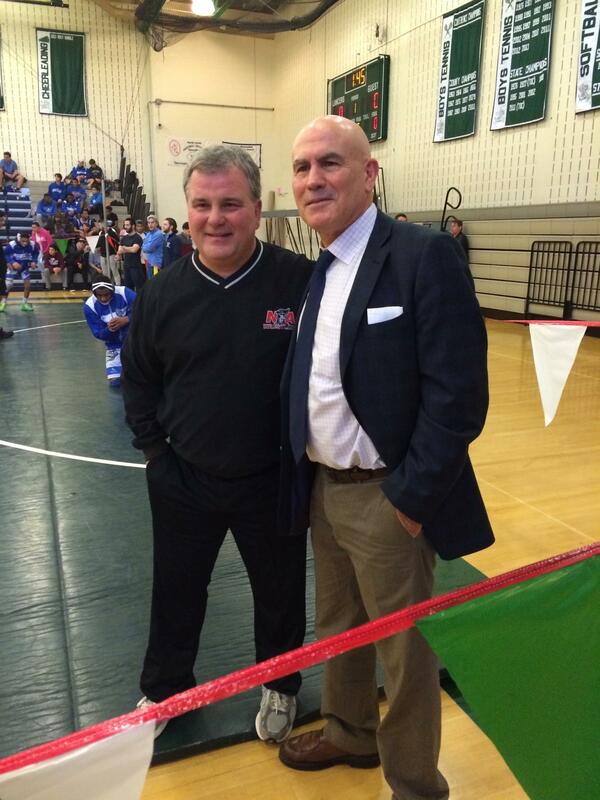 Jim Avola and Jerome Greco were each three time District 14 champions, as well as both winning a Region 4 title. Avola (Class of 2003) and Greco (2004) were three-time state tournament participants. Greco was Newark Academy’s first state medalist, when he finished sixth in the state in 2004, at 125 pounds. He was also the Outstanding Wrestler at Region 4, in 2004. Gerish also recalled Russell Horowitz, Avi Dunn, Craig Helfer, James McGann, Brendon Seyfried, Tom Jasterbeski, John Sternlicht, Patrick Gerish and Bonsall, as outstanding wrestlers for the program. Sternlicht was the second state medalist at N.A. during Gerish’s run, finishing seventh in the state at 160 pounds in 2008. 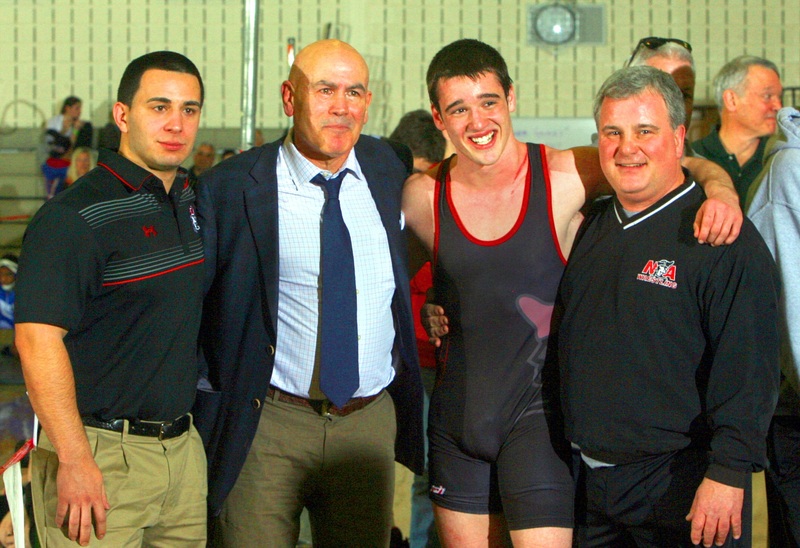 Like Greco and Avola, Sternlicht was a three-time District 14 champ. In 2016 Bonsall became the first four-time District 14 champ, and the third state medalist, in his school’s wrestling history. Patrick Gerish is the school’s all time wins leader, with 143. He’s currently wrestling at the University of Maryland. Other N.A. wrestlers who won 100 matches in high school and later wrestled in college, include Sternlicht (140 wins), who attended Muhlenberg College, Seyfried, who won 133 and went to Williams College, Greco, (126 victories) who attended Columbia University, Avola (125 wins), who wrestled at Davidson College, Joseph Gerish, who had 102 wins in high school, and attended Trinity College and Helfer, who won 99 and played football at Dickinson College. Bonsall, who will attend the University of Chicago, Sternlicht, Jasterberski and Seyfried were two-time Essex County champions while Greco, Helfer, McGann and Patrick Gerish each won one county title. Newark Academy is known as a top-notch school for education, so it’s not surprising to see so many of Gerish’s wrestlers attend exceptional colleges and universities. Now, let’s get back to those compliments. While Ingrid Roth DiPasquale may be from Nutley, and her sons wrestled for the Maroon Raiders, her respect for Gerish was heartfelt. Michelle Florio Campisi, the Queen of M & C, wrote glowingly of Gerish. 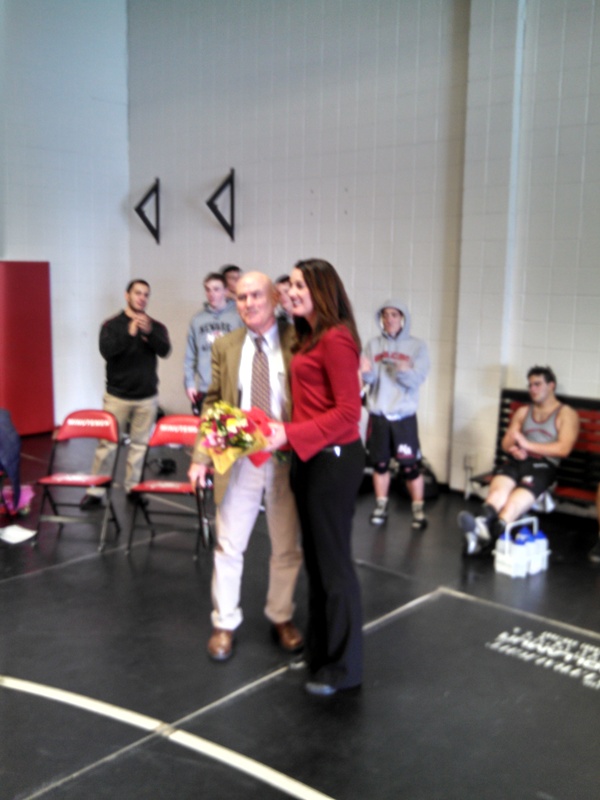 Gerish was honored at Newark Academy’s last home match of the season in mid February. “Congrats Jay, Coach Meyer would have been proud, but not surprised,” said Marty Meyer. (Wendy Meyer-Goodwin and Marty Meyer are the siblings of the late Dr. Frank ‘Dutch’ Meyer, Gerish’s legendary college wrestling coach at Catawba College, in Sailsbury, NC. Gerish has often credited Dr. Meyer as a beloved mentor and began his coaching career under Meyer’s tutelage). “Good man,” said Chris Cuffari, of Gerish. I first met Jay during his first season as head coach, in early 1998. He was always the best-dressed coach on the sidelines, and it didn’t take long to realize what a nice man he was, and continues to be, today. Before the start of the state tournament, every year, he’d give me a sealed envelope with his choices of who would win, in Atlantic City. He was, and will always be, a wrestling junkie. His background on the sport was legendary. So do I, Jay, and, as I’m sure you’ve read, many others, too, will never forget your work. Best of luck and I hope to see you at plenty of matches next year.